Jialin Christina Wu, "Colonial Violence in the Land of the Pirate and the Amok", dans P. Dwyer et A. Nettelbeck (eds. 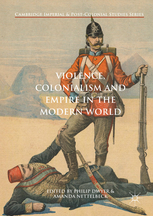 ), Violence, Colonialism and Empire in the Modern World, Cambridge Imperial and Post-Colonial Studies (Basingstoke : Palgrave Macmillian) : pp. 175 – 195.